Girls Go CyberStart Challenge will have the opportunity to share in $150 scholarships, registration, and travel to Chicago for the Women in CyberSecurity Conference (WiCyS) March 23-24, 2018. No prior computer knowledge is needed and students from all educational backgrounds are welcomed. If students enjoy solving problems, logically working through challenging tasks and learning new skills, then they will have what they need to succeed at the Girls Go CyberStart Challenge. 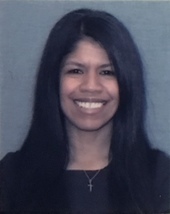 The Standards and Assessment Division is excited to welcome its newest team member, Elizabeth (Liz) Gilbert, who is the WDE English Language Arts/Fine and Performing Arts Consultant. Liz, who originally hails from New York, received a B.A. in Elementary Education from Brooklyn College, M.Ed. in Reading Education from Nova Southeastern University, and completed post-graduate work leading toward a second M.Ed. in Educational Research, Measurement and Evaluation from Boston College. Liz has dedicated over 17 years in various K-12 educational public and private sector roles. Her primary goal is to address and support the literacy needs of Wyoming's educational constituents. Besides her passion for the arts, Liz enjoys spending time with her family, watching sports, and engaging in outdoor adventures. 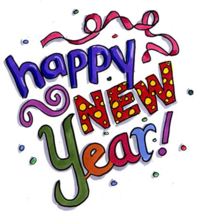 Natrona County School District No. 1 offers professional development courses for online credit. State educators are welcome to join to earn either 2 PTSB credits (free) or 2 UW graduate credits ($50 per credit). Courses begin January 24. Registration is $100. Nominate a teacher for the Presidential Awards for Excellence in Mathematics and Science Teaching (PAEMST). This year's awards will honor mathematics and science teachers (including computer science) teachers in grades K-6. A minimum of five years full-time employment in K-12 as a math or science teacher is required. In this free residential summer program, high school students will learn about scientific research in nuclear astrophysics as well as the impact of nuclear science and its applications for society, through conducting their own experiments. ChemEd X provides a place for high school and college chemistry teachers to collaborate globally, communicate experiences, and share pedagogical ideas and tips. All content is moderated and includes articles and activities peer reviewed by high school and college-level chemistry teachers, as well as blogs, videos, event announcements, and staff "picks" of books, journals and apps. iNSIGHT offers apps for vision science and experimental psychology lab classes. Each lab is complete with a quick-start guide, detailed instructions, background information, and one or more guided exercises. Six experiment apps (Scaling Vision, Feature Analysis, Signal Detection, Global Precedence, Measuring Illusions, Depth Perception) and seven interactive demo apps (Form and Motion, Illusions and After-effects, Spatial Vision, Color Vision Test, Stereograms, Receptive Field Mapping, Mach Bands) are available. Vernier Software & Technology is committed to helping educators develop the next generation of engineers and scientists. Vernier will recognize two instructors -- one middle school and one high school instructor -- with the Vernier Engineering Award. The $5,500 award will be presented to instructors who are creatively using Vernier sensors to introduce engineering concepts or engineering practices. This may be in conjunction with Vernier’s Logger Pro software, NI LabVIEW software, LEGO NXT, VEX, or any other system incorporating Vernier sensors. Each award will consist of $1,000 cash, $3,000 in Vernier technology, and $1,500 toward expenses to attend either the NSTA STEM conference or the ASEE conference. The Presidential Innovation Award for Environmental Educators recognizes outstanding kindergarten through grade 12 teachers who employ innovative approaches to environmental education and use the environment as a context for learning for their students. Up to two teachers from each of EPA's 10 regions, from different states, will be selected to receive this award. Teacher awardees will receive a presidential award plaque and an award up to $2,500 to be used to further the recipient's professional development in environmental education. 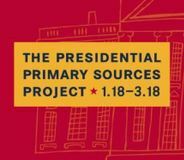 The Presidential Primary Sources Project is a free, interactive classroom videoconferencing program for grades 6-12. The presentations utilize primary source documents and artifacts to teach students about presidential legacy and U.S. history. Because of the broad nature of the presidential theme, teachers will find that a number of the historical presentations coincide with their yearly curriculum. The program will run through the end of March and feature rangers from the National Park Service and educators from presidential libraries and museums and other organizations. The Henry Ford Education Institution and Litton Entertainment are looking for teachers who demonstrate the habits of an innovator -- teachers who inspire their students to challenge the rules and take risks, who demonstrate how to be collaborative and empathetic, and teach the value of staying curious and learning from failure. Twenty teachers will receive prizes, with the top 10 grand prize winners receiving a week-long “Innovation Immersion Experience” in Dearborn, Michigan. Winners will be announced in June. 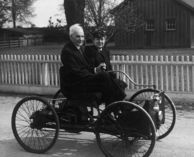 Contact TIA@thehenryford.org. The Gilder Lehrman Institute of American History recognizes exceptional K–12 American history teachers across the country. The national winner is chosen from among state winners and receives a $10,000 prize and will be honored at an award ceremony in New York City. State winners receive a $1,000 prize, an archive of classroom resources, and recognition at a ceremony in their state. Any full-time educator of grades K–12 who teaches American history (including state and local history) is eligible. The nominated teacher must have at least three years of classroom teaching experience. Nominations can be made by a student, parent, colleague or principal or other administrator familiar with the teacher’s work. Self-nominations are not accepted. 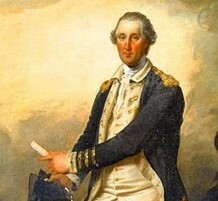 The George Washington Teacher Institute in Mount Vernon, Va., will host six summer residential programs featuring access to content scholars, the Mount Vernon estate, and sources both primary and secondary. Full scholarships are available to all K-12 teachers that currently teach U.S. students. State-specific full scholarships, including travel stipends, are available for applicants in several states including Wyoming. The schedule: Martha Washington and the Women of the 18th Century (June 12-16); Slavery in George Washington’s World (June 19-23); The Great Experiment: George Washington and Founding of the U.S. Government (July 10-14); First in Business: Washington, Mount Vernon, and the New Nation (July 17-21); Washington at War: From Soldier to Commander in Chief (July 31-August 4); and Leadership and Legacy: Lessons from George Washington (August 7-11). Contact Jackie Jecha, jjecha@mountvernon.org or (703) 799-5082. The National World War II Museum Summer Teacher Institute will explore the U.S. Home Front -- the engine of production, innovation, and volunteerism that made Allied victory possible on battlefields across the globe. 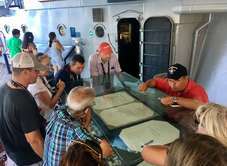 Participants will spend a week this summer in New Orleans learning from a team of curators, educators, and WWII scholars, followed by a trip to Pearl Harbor, Hawaii, in summer 2019. The institute is open to any middle or high school teacher who has at least three years of classroom teaching experience as of July 2018. Participants will receive free lodging, a travel stipend, seminar materials, and most meals free of charge. 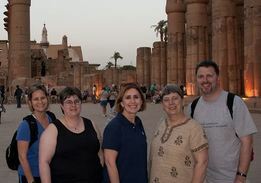 The Fulbright-Hays Seminars Abroad Program provides opportunities for overseas experience and is open to educators and administrators with responsibilities for curriculum development in fields related to humanities, languages, and area studies. The program is geared towards educators with little or no experience in the host country who demonstrate the need to develop and enhance their curriculum through short-term study and travel abroad. If you're looking for guidance on administering ACCESS 2.0, follow this link to WIDA ACCESS 2.0 webinars and Q&A sessions.